What's better than a warm cinnamon roll on a cold morning? 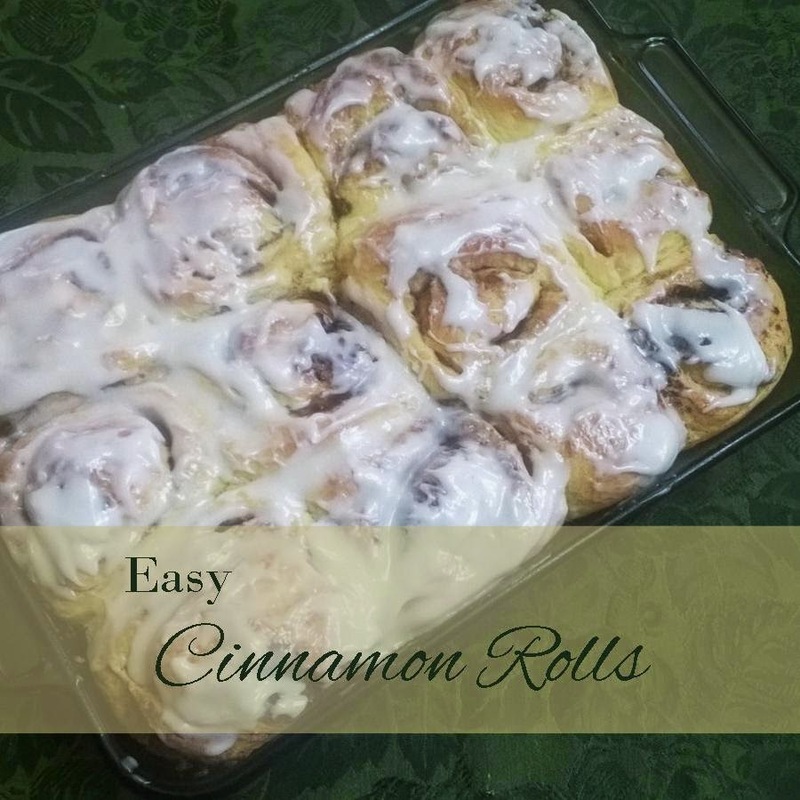 Not much if you ask me, especially if those cinnamon rolls are fast and easy to make. We've been using this recipe for years now and we're still not tired of them! 1. Begin by proofing your yeast. Mix 2 pkgs. of dry yeast with 1 Tbs. sugar and 1/2 C warm water. Let it sit until it doubles in size and becomes foamy. This took about 15 minutes. 2. After proofing is finished add the cake mix to the yeast mix. Stir together. 3. Add 1 C warm water and 2 C flour. Stir together. 4. Add 1 C warm water and 3 C flour. Mix until all ingredients are combined and dough is elastic. 5. Form a ball. Either wipe with oil or use cooking spray. Place in a bowl and cover with a towel. Let rise for one hour. 6. After the dough has doubled in size turn out onto a floured surface and roll out. 7. Spread a layer of melted butter on the dough. Sprinkle on the cinnamon & sugar mixture to your taste. Roll dough up. Cut about 1 inch slices. Place in a greased baking pan. 9. Bake at 350 degrees for 15 to 20 minutes. Try using a different flavored cake mix. We especially like chocolate and spice cake mixes. Lemon is good too, instead of using vanilla extract in the icing use lemon flavoring. Yum!